Fugitive Vicky Boodram was captured in Penal on Thursday night. Vicky Boodram’s three day run to freedom came to an end last night as police found the fraud accused hiding in a house in Penal. They tracked her to the house at Sunshine Drive, Lachoos Road, at about 6.40 pm, tracing calls she had been making on a Digicel cell phone. A woman, 32, was found with Boodram. Her escape from the Women’s Prison, Arouca captivated the country as Boodram, 35, was aided by two police officers who, at about 5.15 pm on Monday, presented what now appears to be fraudulent court documents to prison officials stating she was to be taken to night court at the Tunapuna Magistrates’ Court. After releasing Boodram into their custody, prison officials subsequently received a call that she had been granted bail, rousing suspicion when she was not returned to the prison. A policeman yesterday confessed to helping Boodram because he had fallen in love with her. The second officer, a woman, remains in custody as the investigation intensified with a lead that Boodram had been taken to south Trinidad. 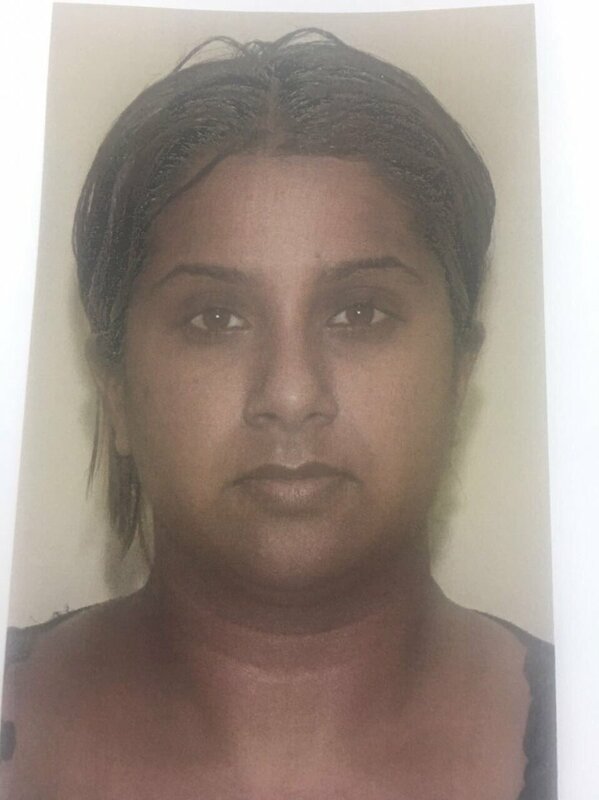 Boodram, who is from Siparia, is on 175 fraud charges in which she is accused of fleecing $5 million from customers who had booked cruises with her now defunct travel agency. Charges include money laundering and falsifying documents. She now faces an additional charge of escaping unlawful custody. Boodram offered no resistance when a joint team from the Organised Crime and Intelligence Unit (OCIU), Port of Spain CID, South Western Division CID and Task Force surrounded the house in Penal last evening. Deputy Police Commissioner Harold Phillip supervised the capture of Boodram and the arresting team was led by ASP Edwards of OCIU. The former travel agent, dressed in black jeans, black armless top and high heels cried a little, with a cell phone in hand, when she was arrested and placed in an unmarked police car and taken to the Penal Police Station. The woman with her was also arrested and taken to the station. On the way to the station, Boodram asked officers for a dinner mint but was not given any. On arrival she and the woman were placed in a cell. Boodram smiled as officers spoke to her. At about 9 pm, the joint team left the station with Boodram and sources said she would be taken to Barataria Police Station. Her accomplice would have remained at the Penal station facing a charge of harbouring a fugitive. Acting National Security Minister Stuart Young issued a statement via text on Boodram’s capture. “On behalf of the Government and citizens of TT, I would like to congratulate and thank the TTPS, the TT Prisons Service and all other law enforcement agencies that worked together to recapture escaped prisoner Vicky Boodram. We await the outcome of their investigations surrounding her escape,” he said. Residents who live near the station appeared not to be aware that Boodram was in custody. Outside was quiet as there was no additional officers at the station, however the entrance to the building was closed.